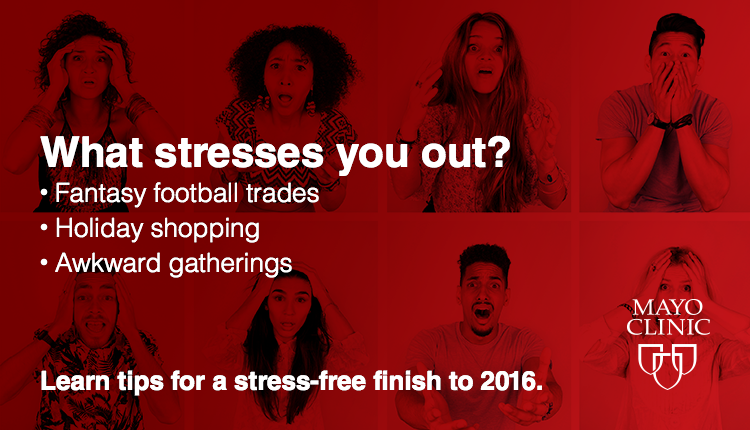 Whether it’s the stats of your Fantasy Football team or the approaching holiday season, feeling stressed is not good for your health. Managing stress can be tough, but a few relaxation techniques will help you feel better. Common relaxation methods include meditation, tai chi and yoga, but there are more active ways of achieving your Zen, like walking outside or participating in sports. Find your stress management techniques from Mayo Clinic.